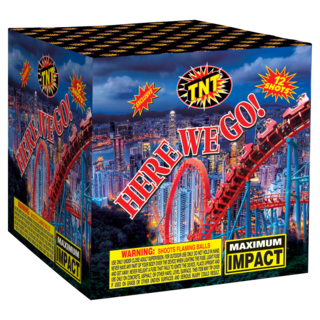 Fireworks | TNT Fireworks | HERE WE GO! Ready…get set…Here We Go! You'll have to catch your breath from the maximum impact of this shower of these multi-colored bursts of crackling excitement! What are you waiting for?! !